This coloured engracving (which I biought in 1986 in London) is quite similar to, but not identical with, the engravings in British Library and British Museum. Because of the similarity, this one must also be attributed to Jan van Ryne. The Portuguese arrived in India even before the Mughals did While the latter entered through the traditional north-western landgate, the former came by sea and settled on the west coast. The Portuguese introduced a new parameter, navy, in India’s geopolitical equations, placing the Mughals at a permanent disadvantage for a limes to come. The year of Xavier’s arrival in India was also the yea of Akbar’s birth. The latter’s fascination for elephants was legendary We can compare the Mughal empire itself loan elephant, which powerful on land. The Portuguese were the crocodile which control led the waters. Because of his interest in comparative theology an probably also due to his apprehension about the Portuguese sea borne power. Akbar invited in 1580, a Jesuit mission to his court. This led to the establishment of a church and a Jesuit mission at Agra which continued till 1803. As long as the Mughal empire was powerful, the European remained confined lo the coastal regions, outside imperial zone of influence and minded their business. They did take an interest in botany. This is natural, because after all it was the lure of the culinary plants that had brought them to these parts in the First place. Interest in plants was beneficial and profitable, because of their medicinal, commercial, and curiosity value in Europe. While the European traders had a good idea about India’s coast-line, they were ignorant about the country’s interior, having had no reason to venture there, nor being equipped for the task. Geographical exploration was left to the Jesuits, who had the training, the lime, and the opportunity to criss-cross the country. They had also the necessary discipline to make careful observations, to record them faithfully, and to transmit them regularly. In Europe, these reports were dutifully preserved, yet ignored. Europe was not as yet ready for India. In the eighteenth century, the collapse of the Mughal empire produced a political vacuum. The European vaishya outfits developed kshatriya ambitions, and knowing post-Plassey India became a paying proposition. Jesuit data were now dug up and put to use. Colonial geographers avidly scanned the 34 Jesuit volumes of Lettres Edifiantes el Curieuses. Interestingly, an abridged translation in two volumes was edited in London in 1743 by John Lockman entitled, Travels of the Jesuits into Various Parts of the world. He deleted accounts of conversions and miracles, as being ‘quite insipid or ridiculous lo most English readers, and indeed to all persons of understanding and taste’. English readers were interested undoubtedly only in those parts of the work which furthered their overseas interests. A fresh edition was published in Paris between 1780 and 1783 in 26 volumes by Ouerbocuft, who conveniently arranged the letters in geographical order. Volumes I0 lo 15 give information about India. This compilation is however largely devoted to the French missionaries, with the Mughal Mission being very poorly represented. Traditionally, the conquerors entered India from the north-west and moved eastwards, leaving the southern part alone. (Aurungzeb brought an end to the Mughal power by needlessly trying to subdue the south, and the Marathas ruined themselves by trying to extend their hold right up to Delhi). In contrast, the Europeans, coming as they did by sea. were First interested in south India, and later in the eastern, central and northern parts. This is therefore the order in which geographical information about India was sought and incorporated into the main body of European knowledge, irrespective of the order in which this information was First obtained. Chronologically speaking, the first Jesuit geographer in India was Fr. Anthony Monserrate even though his work was unnoticed for 200 years.3 Born at Vie de Ozona, 30 miles from Monserrate in Catalonia (Spain), he joined the Order in 1558 and left for India in 1574. He was chosen lo be a member of the first Jesuit mission to Akbar’s court and was asked by his superiors at Goa to keep a diary. This he did most faithfully, adding greatly to its value by his geographical and astronomical observations. On his journey from Surat to Fatehpur Sikri in 1580, .he made a survey and took observations for latitude. When in 1581, Akbar marched to Kabul against his half-brother Mirza Muhammad Hakim, he took him along for continuing the tuition of his second son Murad (1570-99). He encouraged Monserrate to take observations en route, which he did as far as Jalalabad. Akbar however did not seem to have shown any interest in the data collected by Monserrate, who kepi it with himself when he returned from the mission. On the basis of his observations, Monserrate prepared in about 1590 a small map.5½” X 41/8” in size. This little map was a tremendous improvement on all previous efforts. It was based on actual observations rather than on travellers’ tales. It gave a better idea of the Himalayas and of the upper course of the Punjab rivers than Rennell had done nearly 200 years later. Expectedly, Monserrate did not have any knowledge about regions east of the Yamuna. Studied today, one notices that he had placed Surat east of Goa instead of west of Goa, and that the map is four degrees too far to the east. But keeping in mind the limes when it was first prepared and when it was first used, its value cannot be under-estimated4. Monserrate’s geographical endeavour belongs lo the category of historical romance rather than to that of historical compulsion. The Jesuit Mughal Mission operated under the Portuguese patronage, but the latter soon became redundant in the European power-game. Indeed, ironically. Monserrate’s work done when the Jesuit mission was established, came to light only when the mission ended. The French who were the last of the Europeans lo arrive in India and became semi-finalists in the power-game, acted as patrons to the French Jesuits. Thanks to the Jesuits, French were more successful on the scientific front than on the colonial. The first dependable map of the interior of the southern peninsula was due lo the efforts of Fr. Jean-Venant Bouchet who had the distinction of arriving in India from the east rather than from the west.5 Born at Fontenay-le-Comte in France, he joined the Society in 1670 and was a member of the expedition sent to Siam in 1687 by king Louis XIV. There were 14 Jesuits in all, formally designated as The Mathematicians of the King’. They arrived in Siam in 1688, but were expelled the same year as a result of a revolution that overthrew the king. The missionaries left for India, but only three survived the or- deal and reached Pondicherry on 17th February, 1689, two of them being Fr. Bouchet and Fr. Jean Richaud. It is not clear who the third Jesuit was. On arrival in India, Bouchet joined the Madura Mission, but left it in 1702 to set up the Carnatic Mission. Bouchet’s companion Fr. Richaud discovered in 1689 that the bright southern star Alpha Centauri was in fact a double slur. This was the second binary ever discovered. Earlier in 1685 Jesuit, Fr. Fontenay, had discovered from the Cape of Good Hope the First binary Alpha Crucis. Richaud’s was the first credited astronomical discovery from India. A rather pathetic Figure was Fr. Joseph Tieffenthalere who survived the dissolution of the Society of Jesus in 1773 by working under the British auspices.10 Born at Bolzana in the Austrian Tyrol, he joined the Order in 1729, and left Germany for Spain in 1740. In 1742 he sailed from Lisbon for Goa by way of the Philippines. He reached (Goa in 1743, He was apparently intended originally for the Jaipur Observatory, but Raja Jai Singh’s death in 1743 cut short these plans. He was accordingly sent to Agra to work at the Jesuit College there. Shortly afterwards, he began his wanderings to Mathura, Delhi, Narwar, Goa, Surat, Jodhpur, Ajmer, Jaipur, Gwalior, and to innumerable other places. In 1747, he commenced service as a priest at the Bourbon Colony at Narwar, where he remained for about eighteen years. Meanwhile, in 1759 the king of Portugal had banished all Jesuits from Portuguese dominions. Consequently, the Jesuit presence at Goa ceased, and with this the Mughal Mission as a Jesuit enterprise ‘may be said lo have come to an end.’ Tieffenthaler found himself in such Financial straits that in 1756 he boldly decided to appeal for financial help lo the ‘famous English nation so well known for their humanity, liberality and charity to the poor’. He travelled to Calcutta keeping surveys of the way. Apparently he found the help he needed and settled in Oudh for the rest of his life, making Lucknow his head-quarters. Till 1771 he was continually on the move making astronomical observations and surveys, employing also one or more local assistants ‘versed in geography’, whom he sent lo explore the sources of the Ganga and the Gogra. Tieffenthaler was a tireless explorer. ‘Next to the salvation of souls, and their conquest for God, nothing has afforded me greater pleasure than the study of the geographical position of places, the variations of winds, the nature of the soil, and the character and manners of the regions through which I am travelling’. The publication history of his works makes interesting reading. In 1772 or 1773 he sent a voluminous collection of his works in Latin to a Prof. Krat Zenstein through the agency of a Dutch doctor, whom he had met in India. He sent other material lo the French orientalist Anquetil Duperron, who was in India between 1755 and 1764, three of which he had spent at Surat collecting Parsi manuscripts. In 1771 Duperron published the First European translation of Zend Avesta.11 In 1759, when he was at Surat and Tieffenthaler at Narwar. the two were in correspondence with each other. Suddenly in 1776, Duperron received from Tieffenthaler (then at Faizabad) a packet of maps (including a 15-ft long map of Ganga) and some loose papers. Duperron very promptly prepared a treatise on these maps and in 1776 itself published it in the. Journal des Savants making it a point to mention Tieffenthaler’s unattended Copenhagen works. This publication spurred the German astronomer and mathematician Joseph Bernoulli, at the lime professor at Berlin. He obtained Tieffenthaler’s geographical work Descriptio Indiae from Copenhagen, and collaborated with Duperron on its translation and publication along with that of an expanded version of Duperron’s treatise.. The work was published in three volumes in German (1785-87) as well as in French (1786-89). Bernoulli’s publication reached Rennell in England in time for Tieffenthaler’s work to be incorporated into his map of 1788. Thomas Call in India had already received copies from Tieffenthaler himself. Call’s Atlas of India embodies Routes taken between Goa and Agra by Padri Tieffenthaler; A Survey of the country N.W. of Delhi by Padries Windell and Tieffenthaler. Wendel was closely associated with Tieffenthaler in geographical pursuits. In 1764, he sent Duperron a map showing the strategic position of the Mughal and British armies at the time of the battle of Buscar. He was the author of A Memoir on the Land of the Rajputs and other Provinces lo the South and South West of Agra, with a map which, he drew up in 1779, and presented to Rennell, who was much indebted to Wendal in the preparation of his own great map of Hindustan. In 1780, Wendel met a Russian named Czernichef who had travelled from Bukhara through Kashmir to Lucknow, and communicated his diary to Col. Francis Wilford at Benares. Wendel died on 20th March, 1803, and like Tieffenthaler was buried at Agra. With his death, the last links with the Mughal Mission were snapped. It is reasonably certain that a copy of Monserrate’s manuscript journal was kept at the Jesuit college at Agra, from where it was taken by Tieffenthaler, who may have passed it on to Wilford in 1784 one year before his own death. Monserrate’s work thus neatly brackets the Mughal history. It was prepared when the Mughal empire was first established. It was made use of by the British when they reached the Mughal capital and formally deprived the titular emperor of his sovereignty. The eighteenth century saw a bitter struggle between the two European powers, Britain and France, for territorial control of India. The European military might could have been of decisive use against the native kings only if the lay of the land was known to the foreigners. Accurate geographical information of the country came from the Jesuits who had the training, time, and the opportunity to criss-cros: the country. The French were more successful on the geographica front than on the colonial. The first reliable map of India was the work of D’Anville, achieved no doubt because of his easy access to the meticulous field-work done by the Jesuits. Interestingly, the history of the Agra-based Jesuit Mughal Mission tells us much about the history of the increasing European involvement in India. In 1579 when Akbar invited Jesuits to his court from Goa, there were apprehensions that he, incensed at Portuguese affrontry on the sea, might hold the Jesuits as hostages. 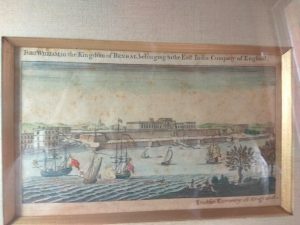 Two hundred years later in 1765 Tieffenthaler, already disowned by Portugal and soon to be disowned by the Pope, successfully appealed to the British at Calcutta for financial help for his geographical and exploratory pursuits. And finally Wendel, the last remnant of the mission, was openly accused by the demoralized French of being a British agent. We have seen that the geographical work done by the Jesuits ii India was of great value to the French and British colonial interests It will be interesting lo Find out whether these interests directly or in directly influenced the Jesuit aims in India and whether the Jesuits perceived the use lo which their work was being put to. 1. R K. Kochhar, “Science in British India”. I. Colonial tool, Current Science, 1992, pp. 63,689. 2. E. Maclagan, The Jesuits and the Great Mogul, London, 1932, p. 15. 4. R. H. Phillimore, Historical Records of the Survey of India, Vol. I, Dehra Dun,1945. 5. Kochhar, “French Astronomers in India during the 17th-19th Centuries,” J. Br.Astr. Assoc., 1991, pp. 95, 101. 6. Phillimore, op. cit., p. 238. 8. Maclagan, op. cit., p. 134; Phillimore, op. cit., p. 314. 10. Ibid., p. 137; Phillimore, op. cit., p. 388; Noti; S.. Joseph Tieffenthaler, S.J., Bombay, 1906. 11. Sacred Books of the East, Vol. 4, p. xv. 12. Maclagan, op. cit., p. 141; Pbillimore, op. cit., p. 395. 13. Phillimore, op. cit., p. 395.
speaking, marine was meant to protect the coastal area, whereas the navy could cast its net wider. Bombaim and Mombaim. D’Orta lived in India from 1534 to 1572 (ref. 5). Portugal. But it enclosed a land- locked bay and its natural harbour could shelter a large fleet. where Britain went ahead to build a vast overseas colonial empire. to the Indian governments. Figure 2 shows Lowjee or Lowji’s son and successor Maneckji Lowji. Bombay dock. Others were built in the following years. thus ‘the effect of shot upon teak is far less dangerous than upon oak10. ‘from south and east of the Cape of Good Hope’. Figure 2. Maneckji Lowji Wadia (1720-92),the second master builder of Bombaydockyards 1774-92 (picture courtesy: Neville N. Wadia). admiralty. Jamsetjee took a private revenge for the racial insults that were the order of the day. 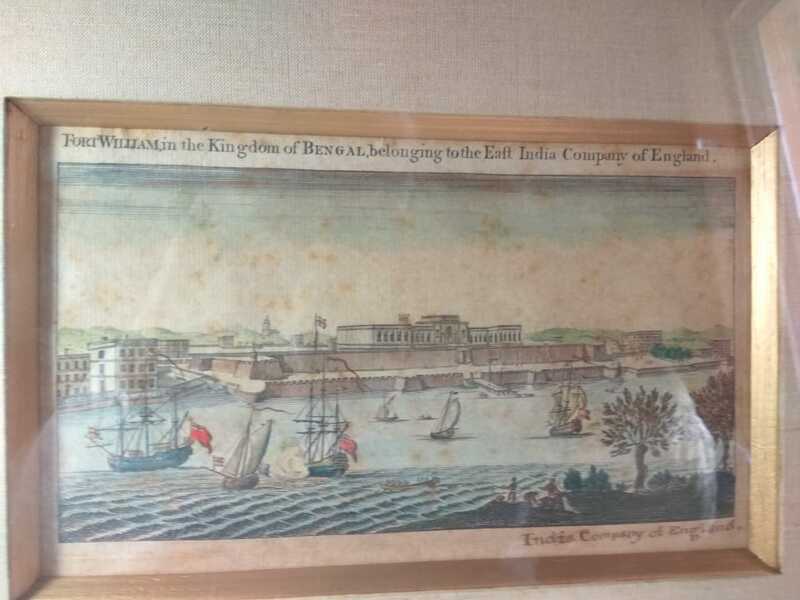 On the kelson of this ship, he carved the words ‘this ship was built by a d-d Black Fellow A.D.
admiralty, returned to the Bombay docks many years laterl2. become the superintendent of Indian navy. trade averaged £ 1 ,882,718 whereas private trade was three times higher at £5,451,452 (ref. 18). steam navigation through was the Burmese war 1824-26 (refs 19, 20). engine in India. It was left to rust till the company bought it in 1822 for use in a dredging boat. of troops over creeks and estuaries of that [Arakan] coast’. and the whole frame with a view to getting a river steamer built for service on the Canton river. secured Assam and added the provinces of Arakan and Tenesserim to the Company’s fold23. between Bengal and England at an average of 70 days per trip (via the cape of good hope). use for towing ships between Calcutta and the newly acquired territories. even more. Monsoon winds made it easier for a sailing ship to reach Calcutta than Bombay. same time that ‘the expenses may be materially reduced’. it was dug with French capital, even though the biggest beneficiaries were the British interests. may be added that from 1885 to 1936 another 46 vessels were built at the Bombay dockyards29. both cases, medical services were reciprocated with handsome gifts and trading concessions. See Crawford, D. G., A History of the Indian Medical Service, 1914, vol. I, pp. 51, 113. 1983), 2nd edn, see p. 20. 4. Ref. I, p. 525. 5. Douglas, James, Glimpses of Old Bombay and Western India, 1893, vol. I, p. 249. 6. Ref. I, p. 54. 7. da Cunha, Garson, Origin of Bombay, pp. 247, 258; cited in ref. 3, p. 9. 9. Ref. I, p. 97. 10. Ref. 3, ch. 6. Alexander Gibson] was appointed at Bombay. the ‘Minden’ when it was in Baltimore. Ref. 3, p.208. Historical Records of the Survey of India, 1945, vol. 1, p. 394. 16. Ref. 1, p. 505.
city to Delaware by sea. ‘. Samuelson, Martin, Q. J. Sci., 1864, 1, 239. 18. Dutt, Romesh, The Economic History of India, 1906, 2nd edn, vol. 1, pp. 183. 209. 19. Ref. 1, pp. 520-532; Ref. 3, ch. 12. 20. Headrick, D. R., The Tools of Empire, Oxford Univ. Press, 1981. ch. 1. 21. Kochhar, R. K., Vistas in Astronomy. 1991,34,69. 22. Ref. 3, p. 288. 23. Ref. 20, p. 21; also see ref. 19. 24. Ref. 20, p. 134. 26. Ref. 1, p. 532. Oriental Steam Navigation Co. See ref. 20, p. 138. 28. Ref. 20, pp. 136, 156. 29. Ref. 3, App. B & C.